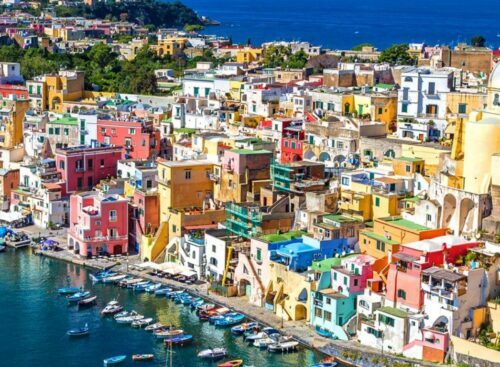 The Amalfi Coast is a jewel waiting for you to discover it. A delightful sea ride, on board of a comfortable boat with a small group of 12 passengers, is the best way to admire the show that the coast offers: the sea and the mountain meet each other, creating a breathtaking landscape. You can explore the beautiful towns of Positano and Amalfi, swimming and snorkelling, and relax with a happy hour on the boat at the end of the day. What else? We are waiting for you! • Departure to Amalfi, sailing along the Sorrento Coast. Along the way you will admire: the ancient fishermen village of “Marina Grande”, the ruins of a roman villa near “Bagni della Regina Giovanna”, the natural waterfall that flows from the rock, Ieranto bay and other interesting attractions along the coast. • Sailing along the Amalfi Coast. Along the way you will admire: the Island of Li Galli, Nerano, Praiano, Fiordo di Furore. • There will be a couple of stops for swimming and snorkelling, and a relaxing break with snacks and drinks offered on board. 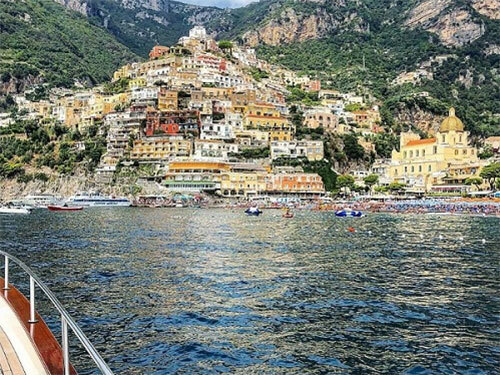 • Stop from 1 to 2 hours in Amalfi to visit the ancient Maritime Republic and stop from 1 to 2 hours in Positano to explore the “pearl” of the Amalfi Coast. • Departure from Positano to Sorrento with limoncello tasting.